The west African country of Niger is 80% Muslim. Jeff Woodke, an American citizen, has served in Niger for more than twenty-five years as a Gospel worker among an unreached people group known as the Tuareg. Woodke made himself at home among these nomadic people by living among them and learning their language. In October of 2016, Woodke was kidnapped by radical Islamists and taken across the border into neighboring Mali. For more than 20 months nothing was known of his condition. This past June, Niger’s President Issoufou indicated that Woodke is still alive. Please pray for God’s enabling strength for Jeff Woodke and for his family as they suffer for the sake of the Cross. At Pastor Andrew Brunson’s trial in Turkey July 18, the judge denied him release and returned him to prison. Andrew is being held on the false charges of endangering national security. His next hearing is scheduled for October 12, which will be two years from the time he was initially arrested. "There is no concrete evidence against me. The disciples of Jesus suffered in his name, now it is my turn. I am an innocent man on all these charges. I reject them. I know why I am here. I am here to suffer in Jesus's name." 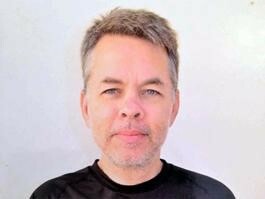 Please continue to pray for special grace for Pastor Brunson, as well as for his wife, Norine. Read our previous update here. 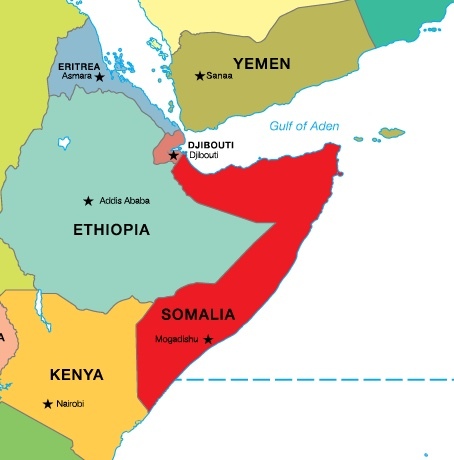 The government of Somalia claims that all Somalis are Muslim because its constitution makes Sunni Islam the state religion. The radical Islamic terrorist group Al Shabaab is waging a campaign against Somalis who are secret Christians, executing them by beheading. In addition, just being a Christian woman invites abuse. One report documents that daily six women are raped or forced into arranged marriages because of their faith. Please pray for Gospel light to shine in Somalia and for Christians, isolated and in great need of fellowship and discipleship, to persevere in following Jesus. The communist nation of China has seen some decrease in harassment of believers in recent years, so the country’s persecution ranking dropped to 39. However, this year President Xi increased the pressure on Christians through tougher laws and his insistence on installing government surveillance cameras in church buildings. Also, new laws passed in September 2017 mandate that all underground churches must register with the government by March 2018. Though some areas of China have seen lessened oppression, in Henan province the persecution is growing more intense. In 2014, a well-known pastor of a Three-Self Patriotic church, Zhang Shaojie, was given a sentence of 12 years in prison and a $16,000 fine for the crime of “disrupting public order” — the harshest given since Mao in the 1970s. In prison, Pastor Zhang has been cruelly tortured, given meager food, and subjected to sleep deprivation. The latest report from his family indicated that he is close to death. Please intercede for God’s strength and grace for Pastor Zhang and for the other believers in China who suffer for Christ. We received word that Pastor Nguyen Cong Chinh, Vietnam, was released from prison! We praise the Lord for this answer to prayer and wanted to let you know so you could rejoice with him and his family. You can learn more about his release here. We praise the Lord we can share the good news that Maryam Naghash Zargaran has been released from prison in Iran! You can learn more here. We rejoice in this development and are grateful for your prayers. Please continue to pray for Maryam's physical and emotional recovery from her time in prison and for other Iranian sisters and brothers who are suffering for their faith. Vietnam is one of five remaining Communist nations—China, Cuba, Laos, and North Korea are the others—and it ranks among the Top 20 countries for persecution of Christians. The minority Christians, who are less than 10% of the population, are increasingly oppressed and attacked for following Jesus. House churches are raided by government officials, and pastors are often jailed. In 2011 Nguyen Cong Chinh, a 50-year-old Lutheran pastor, was charged with “undermining national solidarity” because of his work with tribal groups in the Central Highlands and was given an 11-year sentence. In prison Pastor Chinh has been beaten, his Bible has been confiscated, and he has been kept in isolation. Furthermore, authorities have contaminated his food and denied him needed medical treatment. His wife—and mother of five—has also been interrogated and beaten. Please pray that God would give special grace to Pastor Chinh and his family as they follow Christ in the pathway of suffering. Although Ethiopia has a long-standing reputation as a Christian nation, there has been a rise in persecution of its evangelical Christian community, which makes up 20% of the population. With Islam comprising approximately one-third of the population, radical Muslims from neighboring Somalia and the Middle East have targeted Ethiopia for “Islamization.” Just recently in a Muslim-dominated part of the country, three teenage girls were sentenced to spend one month in prison among adult criminals for distributing Christian literature. This past March there were eleven cases of attacks by Muslims against some 250 Christians. Furthermore, though the nation’s constitution advocates religious freedom, the influential Ethiopian Orthodox Church persecutes the growing evangelical house church movement. Please pray for grace and boldness for believers in Ethiopia as well as for continued blessing and Gospel-impact of Frontline’s Oromo Bible Project.